Screenshots hint to possible Gingerbread update for the Motorola DROID X soon? Life must be great for Motorola DROID X owners since they're treated to some of the latest major Android software updates out there – unlike some of Motorola's other less known devices. 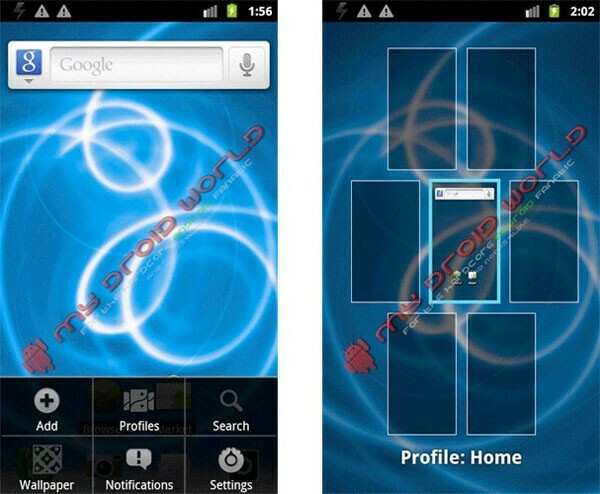 With that in mind, recent leaked screenshots show off what appears to be a BLUR-like build of Android 2.3 Gingerbread for the Motorola DROID X. So far, it seems to follow accordingly to what's found on the Motorola ATRIX 4G, but for those who love or hate it, you'll still find remnants of Motorola's customized interface with MOTOBLUR all around. Not necessarily a bad thing, but at least it's more toned down versus previous iterations of the long standing interface. Now that we're seeing screenshots of this build, it makes you wonder how far we're away from seeing an actual update being pushed out to handset owners. And since the Motorola DROID X is still one of the most beloved Android smartphones out there in the market, we'll continue to see it being graced with the latest and greatest – in a timely though! exactly what i was going to ask.... what about those shots makes it an X, vs possibly a Bionic or Atrix? the Atrix has the traditional MotoBlur interface and everything from Motorola's camp on Verizon excluding the Original Droid, the Devour and the Citrus runs a Stock-ish version of Blur that i just dub "The Droid Interface" the version we see here appears to be the version found on the Bionic, NOT the Atrix. since only the Droid X, Droid Pro and the Droid 2 variants run The Droid Interface i imagine Motorola will update all of them to the version found on the Bionic so they won't have to work on Gingerbreading the current UI.